1.Integration and balance of Masculine and Feminine energies. 2.God and Man becomes one. Sei : State of embryo, things which are invisible, source of external form. He Ki : Root chakra to be balanced. The main function of Sei He Ki can be described as to breaks through or breaks down those which are not in harmony. Sei He Ki breaks through our blockages and patterns on the aura level, be it emotional or physical level and establishes the harmony. Sei he Ki is popularly known as Mental and emotional Symbol. Sei He Ki balances the left and right hemisphere of the brain. 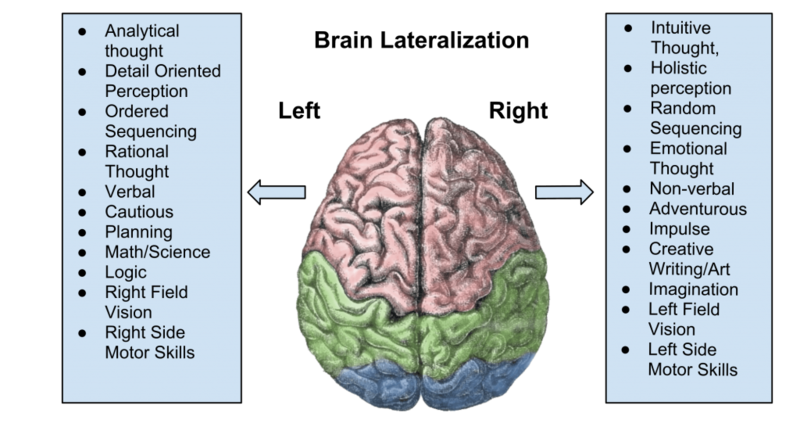 The left and the right brain has different functions to perform. The left and the right Hemisphere of the brain. Our brain has left and right hemispheres, left controls the right part of the body whereas right brain controls the left body part. Not only this, but the two hemispheres though equal in size, is totally different in their functions. The left hemisphere is more logical, analytical, more about of reasoning, whereas the right brain is mainly performs the functions like imagination, intuition, and more of a creative. The two hemispheres is connected by the corpus callosum. 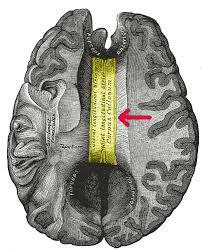 corpus callosum transmits the messages between the left and right hemisphere of the brain. It is the largest collection of whiter matter within the brain. As many as 1 person in 3000, is affected by some disorder of the Corpus Callosum. common developmental problems that may occur with disorders of Corpus Callosum. Delays in attaining developmental milestones (for example, walking, talking, or reading). Delays may range from very subtle to highly significant. SHK can be immensely helpful in all these situations. Superimpose SHK symbol on Corpus Callosum. Set affirmations for the proper functioning of Corpus Callosum. Visualize the perfect coordination between the left and the right hemisphere. Depression can be fatal for a person’s health, so treating the person with Reiki treatment will be immensely helpful. Reiki is a gentle energy which heals the person on every level. Particularly with the use of Sei He Ki symbol, the mental and emotional condition of the person improves. Emotional balance can be retained by using SHK on Heart/ Anahata, Swadhisthana, and Mooladhar chakra. Heart is the centre of all emotions, swadhisthana where all deep rooted emotions are stored and Mooladhar for the survival of the subject. 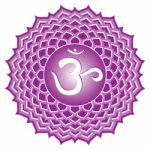 As the depression badly affects the Mooladhar chakra, using SHK on the Mooladhar/root chakra is advisable with other symbols. Reiki is a great tool to achieve the maximum harmony in all our systems. Reiki works as a balancing energy or it is most popular for maintaining energy equilibrium in our system. Human body consists of physical, mental and emotional plains and It’s really a challenging task in today’s condition to be keep oneself fit on all levels. But Reiki do it effortlessly, daily practice of Self-Reiki, helps one to keep the health at all levels. Remove Negative energies from a room and make it safe. SHK is a very effective symbol to remove all kinds of negativity from any space or area. Shield yourself by imagining/visualizing a big purple CKR, surrounding yourself. 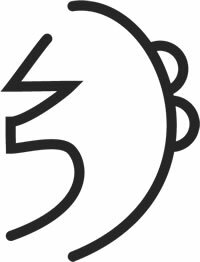 Draw CKR symbol on the four walls clockwise, (starting from wall1-2-3-4), now draw SHK symbol on all 4 corners of the room anticlockwise (wall 4-3-2-1). Intone name of the symbol thrice, while invoking. Draw a big CKR on ceiling and flooring. Cover the room with white light, cover each and every object of the room with the divine white light, let the reiki overflow through out the room, spreading the light to other rooms. Give Reiki for 10 mins or as guided to. close the session with CKR symbol to seal positive energies in the room, for the highest interest all residents. for minimum 10 min, or as guided to. Reiki 1 attune students, can apply this method, by placing their hands on the walls and corners, while intending to cleanse the negative energies of the room and make it safe. Reiki Sandwich can be used effectively in many situations. Invoke Reiki Sandwich by intoning CKR thrice, followed by SHK and again by CKR, in short CKR+SHK+CKR = Reiki Sandwich. 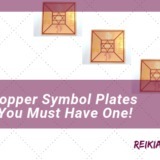 CKR is an amplifier so use it every time you want to boost the Reiki Energy. Intention plays an important role, when applying Reiki and symbols. Above Reiki Sandwich can be used in different situations with different intentions. Like you can use this Reiki Sandwich on each chakra, starting from Mooladhar to Sahasrara Chakra, first with intention to cleanse all the chakras. Now same technique can be applied to balanced the chakras, your intention makes the difference. The main function of SHK, is to maintain harmony, and mental and emotional health, SHK can be used in innumerable ways. blockages and resistance of the body. it helps drinks, drugs and smoking addicts..
helps in anorexia nervosa and bulimia. Anger, sadness and other emotions. protects you losing your personal belonging. SHK helps you on every level, as the main function of the SHK IS to balance the left and the right brain, it is unusually helpful in day to day life. SHK can be used literally in every situation and circumstance, so use SHK more frequently and you will be amazed by its results. Pl share your experiences and experiments of SHK with me, I will be glad to know your findings. 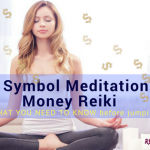 Money Reiki Practitioner – First Step towards Abundance and Prosperity!! Bipolar disorder is associated with episodes of mood swings ranging from depressive lows to manic highs and can be triggered by stressful situations. 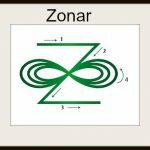 You mentioned that you are a second degree Reiki Practitioner, so you can greatly help the situation by sending Reiki with HSZSN. Reiki is known for relieving the stress and maintaining the energy equilibrium. Make sure to send Reiki on a daily basis, maybe for just 10 minutes, it will ease the situation to a great extent. Sei He Kei is another great symbol to balance the energies, so use SHK in your Reiki Sessions. I wish you all the success, pl let me know if I can help you in any way.